This month has just flown by! I can’t believe it is already the end of December, and reveal day for Secret Recipe Club!!! 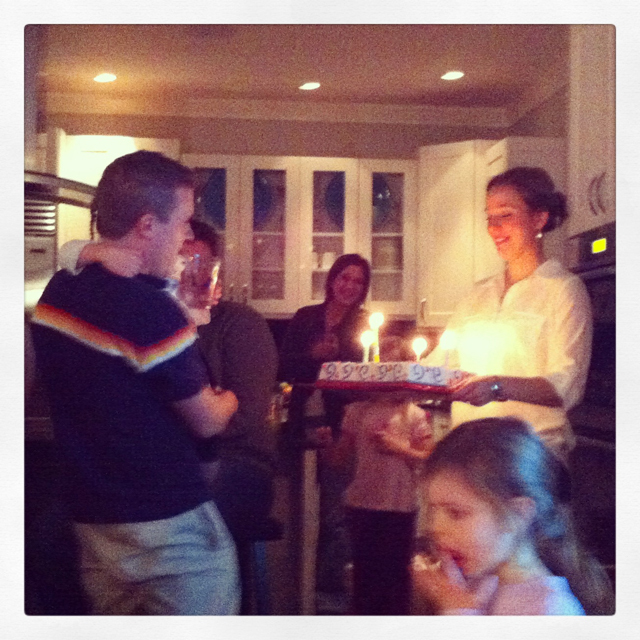 For this month I was given Sarah’s blog, A Taste of Home Cooking. Price is always active in enjoying what I make but more often than not I just cook and he goes with the flow. 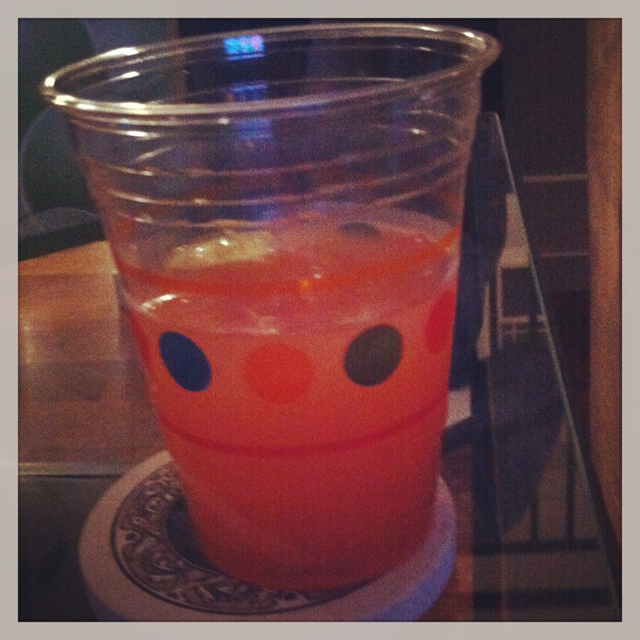 This time, I decided that he should be able to pick the recipe off of Sarah’s blog. So he scrolled through the several years of posting to find something that we could make together. In the end the Chicken Sriracha Stir Fry recipe won out. 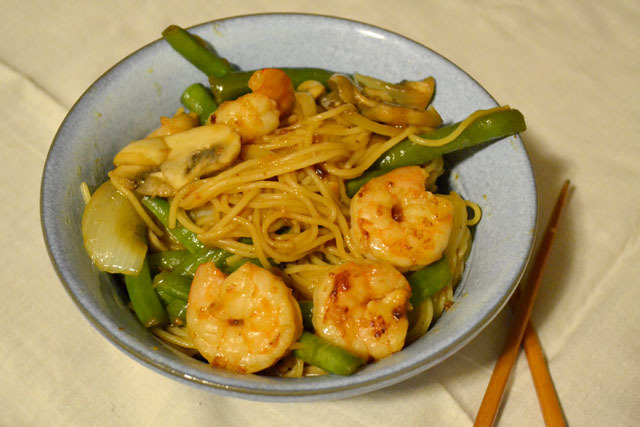 We are both big fans of stir fry’s so this was a great pick for us from Sarah’s blog. Plus it’s very affordable since the majority of the recipe is vegetables. We could have gone with chicken or even tofu, which is so super inexpensive, but we treated ourselves with the shrimp since it was on sale. The marinade and sauce were so flavorful from the Sriracha. I love the spice it provides to a dish, so it being used heavily in this recipe was great for me. In fact, I increased the original amount used since we like it so much, but you can scale it back for what ever you prefer. 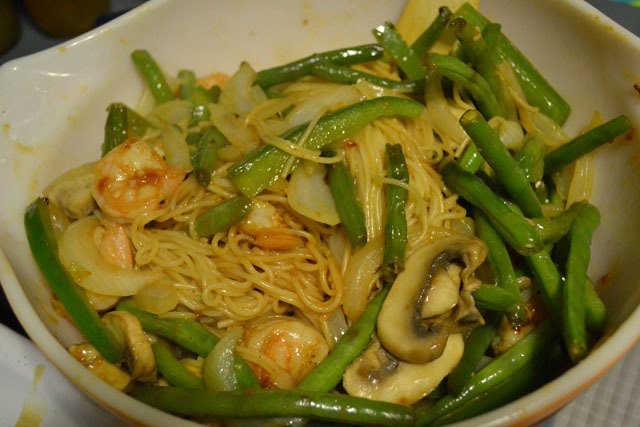 Just like the fact that I love fish sauce so I used that instead of the oyster sauce in the original recipe- just use what is prefect for you and make this your special stir fry. The key with any cooking endeavor is to be prepared, but it’s so much more important with something like a stir fry. The longest part of any stir fry meal is the prep. The cooking time is so fast that you can’t try to juggle cutting things as you go. Take your time in the beginning and set up you mise en place for a successful, and fun, cooking experience. 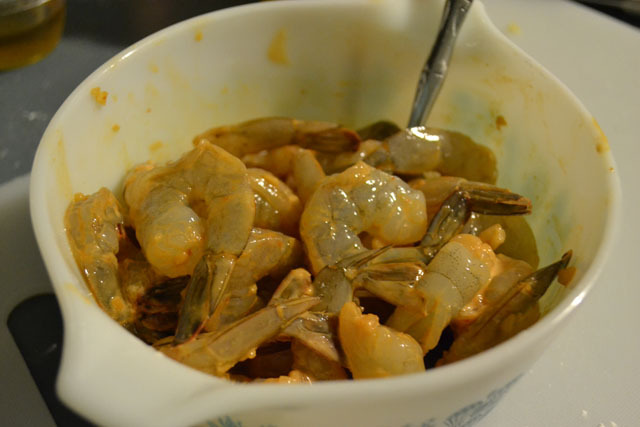 Prepare the marinade for the shrimp in a medium sized bowl. Coat the shrimp for at least 30 minutes prior to cooking. In a separate bowl, prepare the sauce for the stir fry by mixing together the cornstarch, water, Sriracha, soy sauce, fish sauce, and ginger. 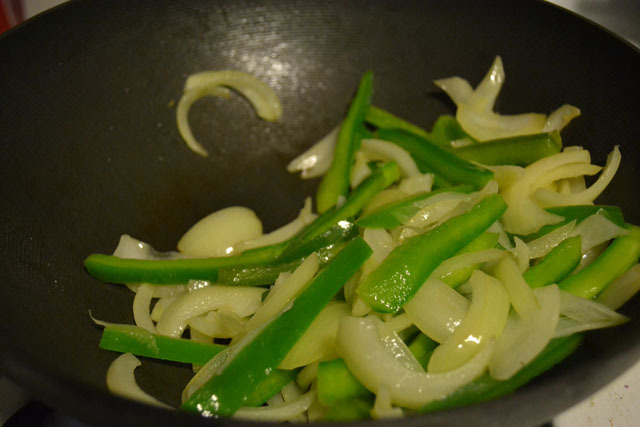 In a large wok heat 1 tablespoon of wok oil over high heat, add the onions and green pepper strips. 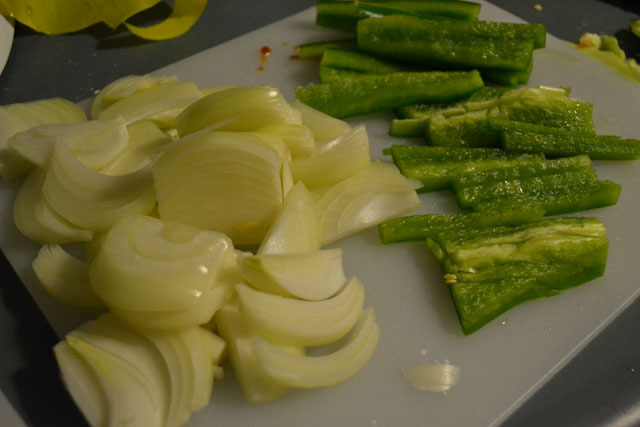 Stir-fry for 5 minutes or until the onuions are translucent and the pepper is tender. 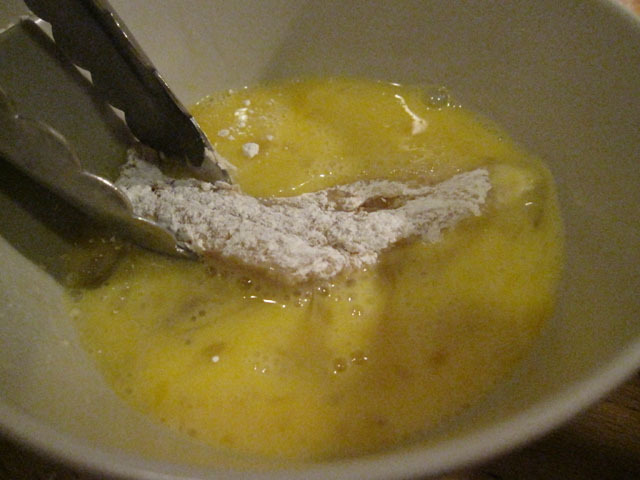 Remove to a large bowl. Let the wok get back up to temperature, then add another 1 tablespoon of wok oil. Add the green beans. After 3 minutes, add 1/4 cup of water and cover for another 3-5 minutes. 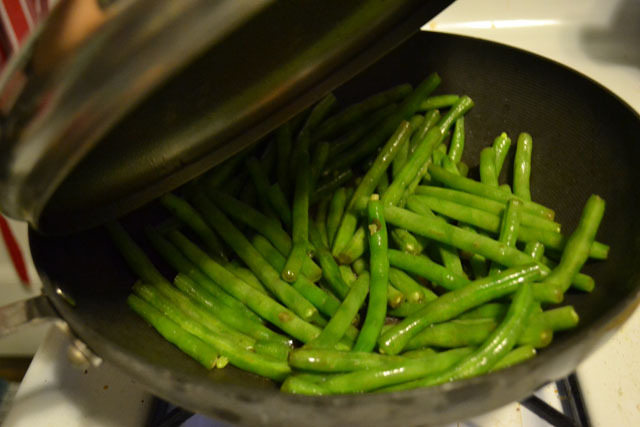 Once the green beans are tender add them to the bowl of vegetables. 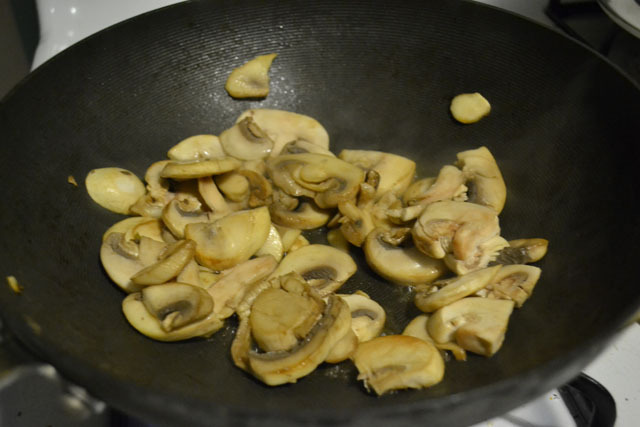 Again, heat the wok back up and add 1 tablespoon of wok oil, then add the mushrooms. Stir fry until they are cooked and soft. Wipe wok out with wet paper towels. Heat the remaining 1 tablespoon wok oil over high heat. 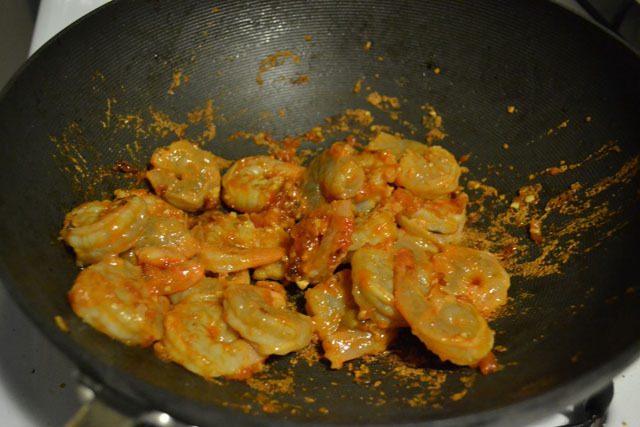 Once hot, add the ginger and garlic; after a few seconds, add marinated shrimp. 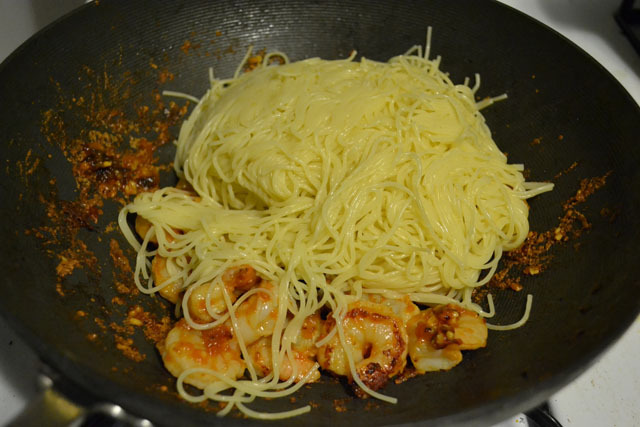 Stir-fry for 2 to 3 minutes, until shrimp is fully cooked. Add the rice or noodles to the wok and then pour the sauce in. 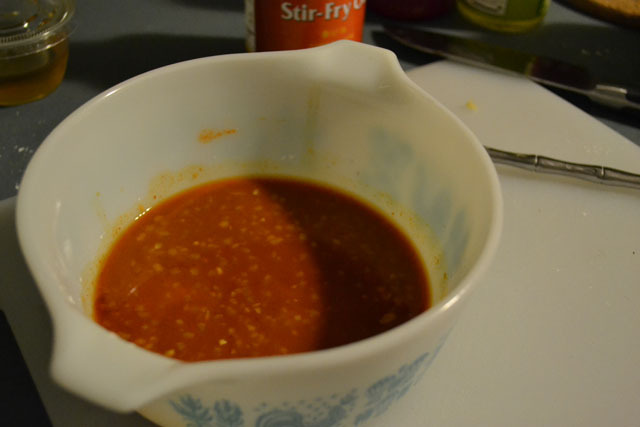 Mix to prevent sticking and to fully incorporate the sauce into the rice or noodles. Add the vegetables back to the wok just to mix together. A few weeks ago I came across a call for entries for an Alaskan Fish Taco contest using fish native to Alaskan waters to create new taco recipes. I love fish tacos so this was a no brainer. I just had to give it a try and enter. I love fish tacos for their lightness and balance of flavor. I never feel too stuffed after having one. 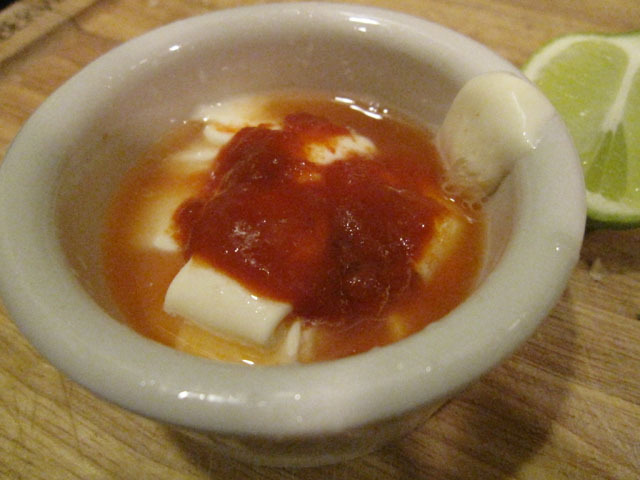 It probably has to do with the lack of heavy salsa and cheese. Either way, a fish taco is a perfect combination of fried or grilled fish and fresh vegetables that provide it with some bite. For example, most fish tacos I come across have some radish slices or some picked cabbage. I decided to head in teh direction of an Asian themed taco. I felt that the light crisp flavors of summer rolls, or veggies stir fries would be similar to the picked vegetables that are often found in California based fish tacos. 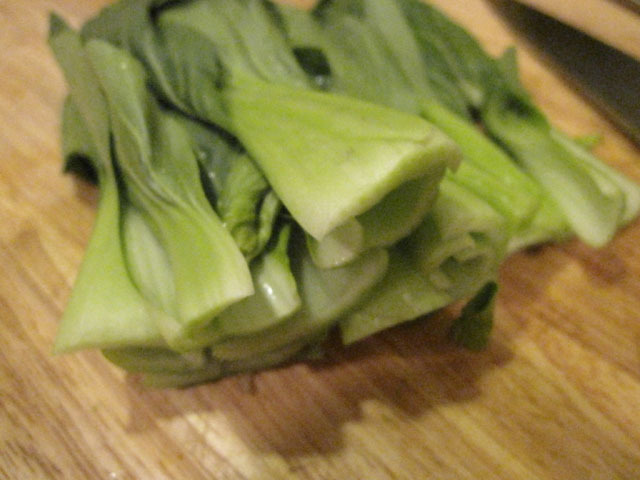 We always seem to have bok choy in the house ebcause it is a favorite for our rabbits. We cook it often in stir fries so I was familiar with the texture and flavor it would bring to the fish taco. Adding ginger to the bok choy would help it bring out more flavor and enhance the Asian flavor experience. I used cod fish, a fish that was approved for the contest. This is light flavored fish that holds up well to light frying. 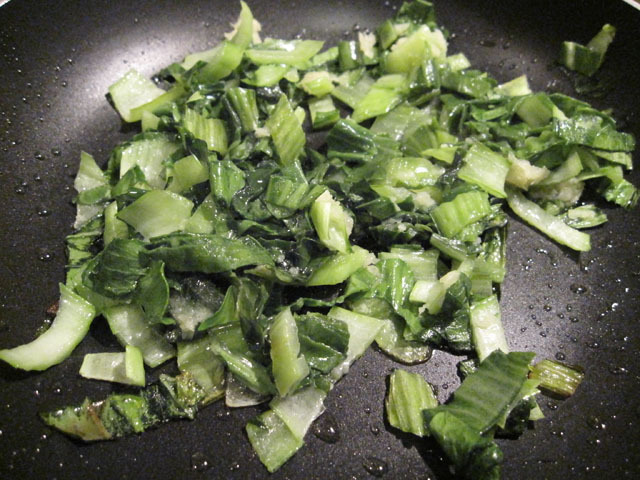 It would work well with the taco because the texture would a nice contrast to the tortilla and softened bok choy. Overall I think this is a successful Asian inspired taco because the flavors are distinctly Asian, the taco has texture, and the taco is flavorful from the sriracha, ginger, and cilantro. 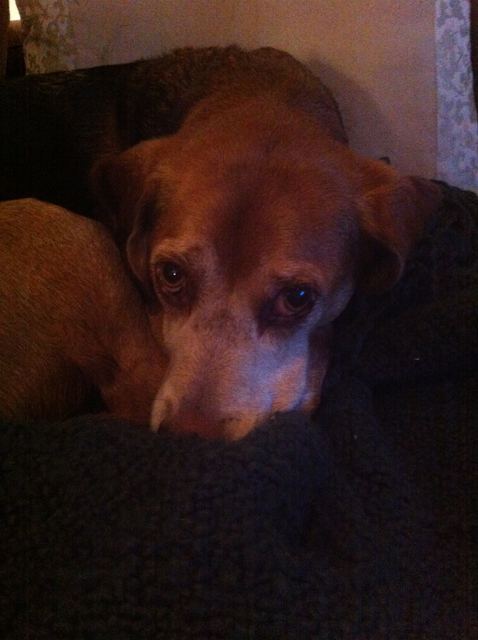 I knew it was a good taco recipe since Pricer, who is uneasy about fish, ate it and enjoyed it. Victory! Preheat oven to 200 and place tortillas on baking sheet to warm. Warm until desired temperature, flipping at least once to evenly warm. 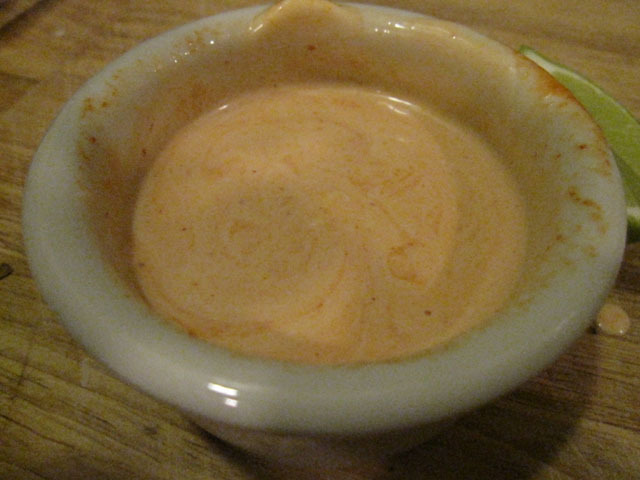 To make the spicy mayo, combine the mayo, sriracha, and lime juice. Let chill until ready to serve. Cut your 1/2 pound cod fillet into 8 even taco sized pieces. 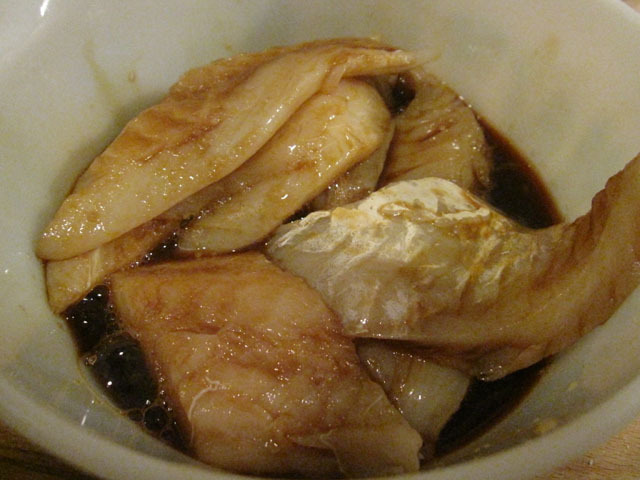 Combine the rice wine vinegar with the soy sauce to marinate the fish. Marinate for approx 15 minutes, much longer will result in a bitter tasting fish. 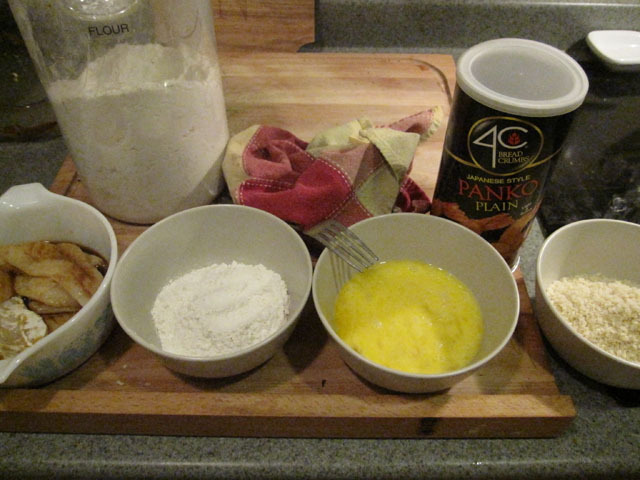 Prepare a breading station with individual bowls for flour, beaten egg, and panko bread crumbs. 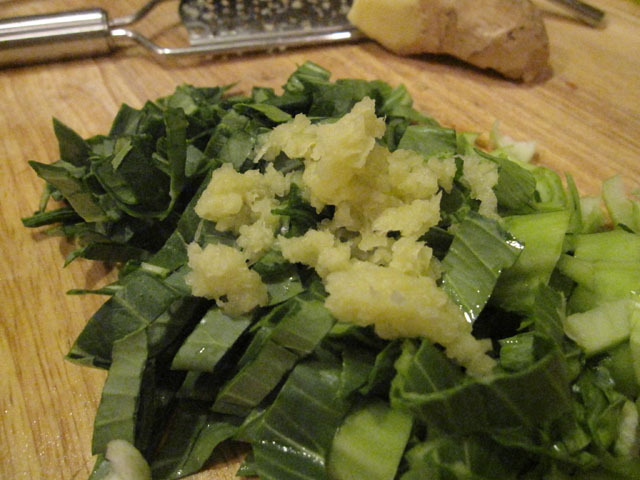 While fish is marinating, slice the bok choy parallel to the bulb base, creating thin ribbons, and grate ginger. Over medium heat, heat wok oil in a skillet. 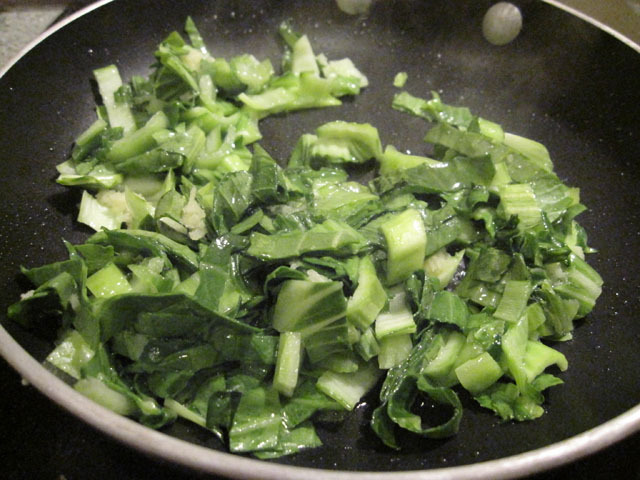 Add both the bok choy and ginger to the hot oil. Stir fry for a few minutes until the boy chow is tender, remove from heat. 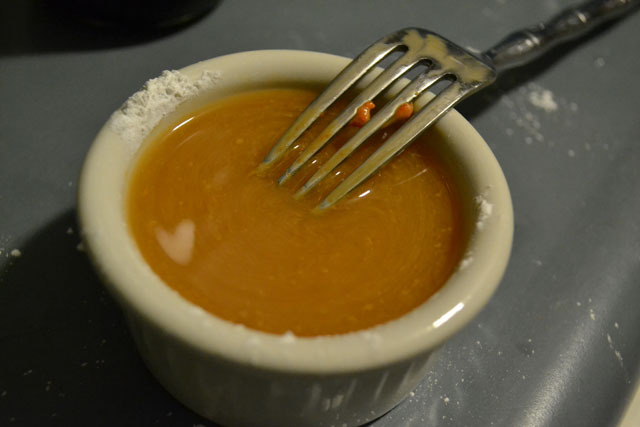 Over medium, heat oil in a large deep skillet. 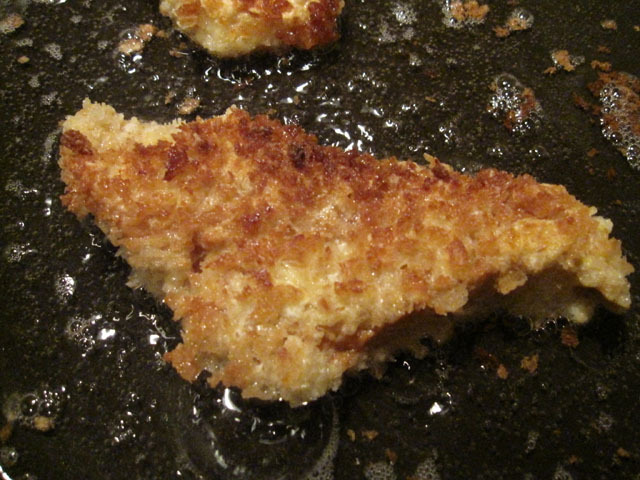 Coat each piece of fish with flour, then egg, then panko bread crumbs. 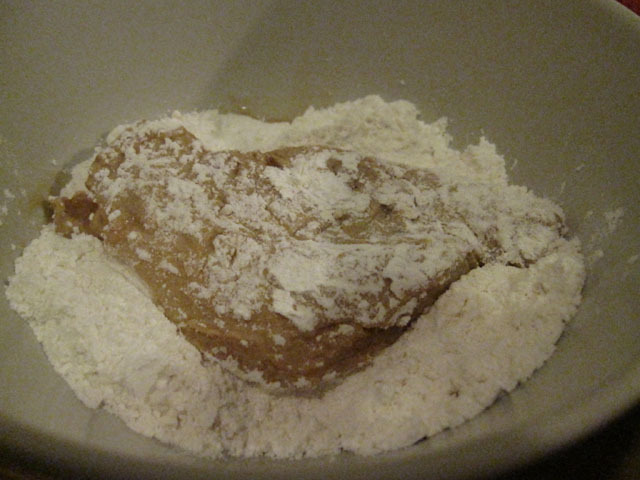 Immediately place breaded fish into hot oil. 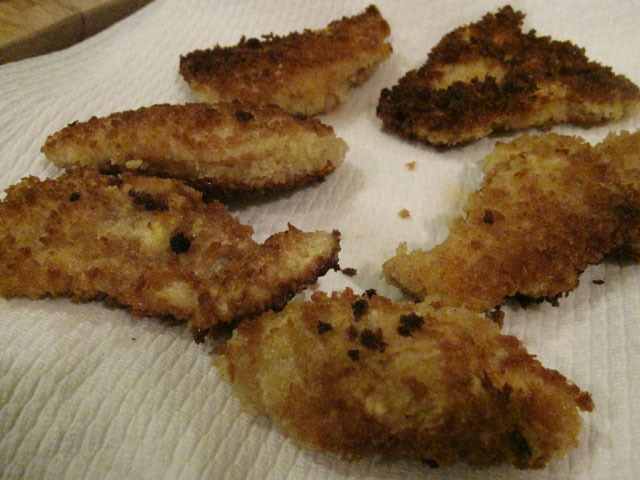 Gently fry fish for 2-3 minutes on each side, careful not to burn the panko breadcrumbs. DO NOT overload the skillet, this will make flipping harder and reduce temperature of oil, effecting proper browning. Place cooked pieces of fish on paper towels to remove excess oil. 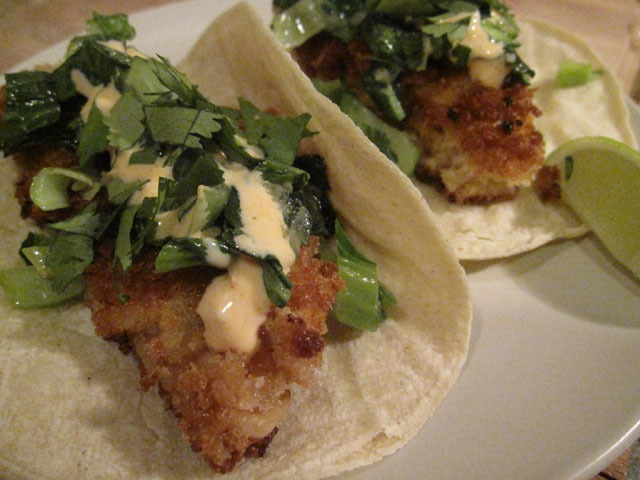 Assemble tacos with fish, boy chow, spicy mayo, a few cilantro leaves, and serve with a lime wedge.